Cord Blood Registry,a newborn stem cell company, announced today the start of a U.S. Food and Drug (FDA)-regulated study being conducted at Florida Hospital for Children in Orlando to investigate the use of a child's stem cells from their own stored umbilical cord blood as a treatment for acquired sensorineural hearing loss. In the United States, approximately 15 percent of children suffer from low or high-frequency hearing loss. The most common type of hearing loss, especially at high frequencies, is sensorineural. Acquired sensorineural hearing loss results from damage to hair cells in the inner ear (cochlea) and can be caused by illness, medication, noise exposure, birth injury, or head trauma. A child's ability to hear affects the development of language skills, and hearing impairments can lead to poor academic and social development. The phase 1 study has a primary objective of determining the safety of using cord blood stem cells in a select pediatric patient population while also assessing whether this approach to treatment improves inner ear function, speech, and language development. Researchers will follow 10 children, ranging in age from 6 weeks to 6 years, who have been diagnosed with acquired hearing loss for less than 18 months and who have their own cord blood unit processed and stored under CBR's strict quality controls. Children with a known genetic cause of deafness are ineligible for study participation. Patients will receive one intravenous infusion of their own umbilical cord blood stem cells. All patients will return for follow-up at 1 month, 6 months, and 1 year post-treatment. The trial, supported by CBR, follows promising evidence from preclinical studies suggesting that the infusion of human umbilical cord stem cells may help repair damaged cells in the inner ear in ways that could lead to hearing improvement. "As more children survive premature birth, we are observing increasing numbers of very young children with significant acquired hearing loss, and currently there are no therapies available for reversing that damage." said Linda Baumgartner M.S., CCC-SLP, LSLS cert. AVT, the trial's Speech and Language Pathologist and hearing loss expert. "Presently, the only treatment options for acquired sensorineural hearing loss are hearing aids or cochlear implants, neither of which actually repairs the damage. 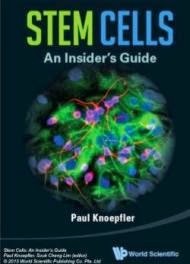 Using cord blood stem cells to help trigger the body's own repair mechanisms could provide a non-invasive therapeutic option that does not exist today." said James Baumgartner, MD, Surgical Director of Florida Hospital for Children's Comprehensive Pediatric Epilepsy Center and the study's principal investigator. 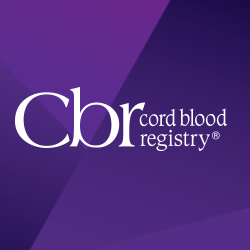 "Cord Blood Registry continues to lead the industry in evaluating the potential of newborn stem cells in neurological damage, supporting FDA-regulated clinical trials in autism, cerebral palsy, pediatric stroke, traumatic brain injury, and now hearing loss. We are excited to learn from the outcomes of this particular study and from future studies that may evaluate broader populations affected by hearing loss or other neurological impairments for which there are limited treatment options today" said Heather Brown, Vice President of Scientific & Medical Affairs at CBR.